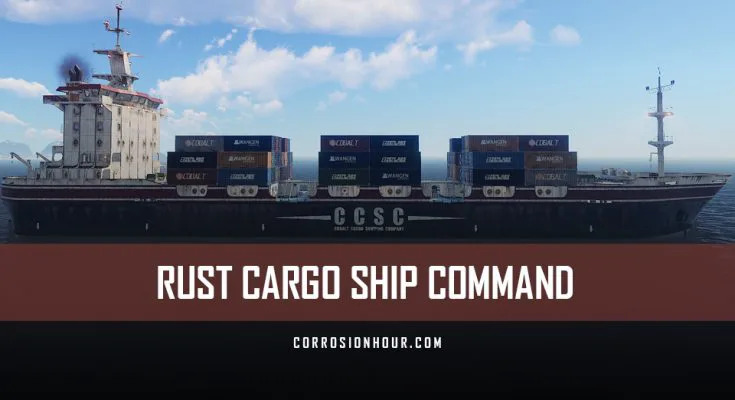 The RUST cargo ship command is a server event that can be manually spawned in by server admins. 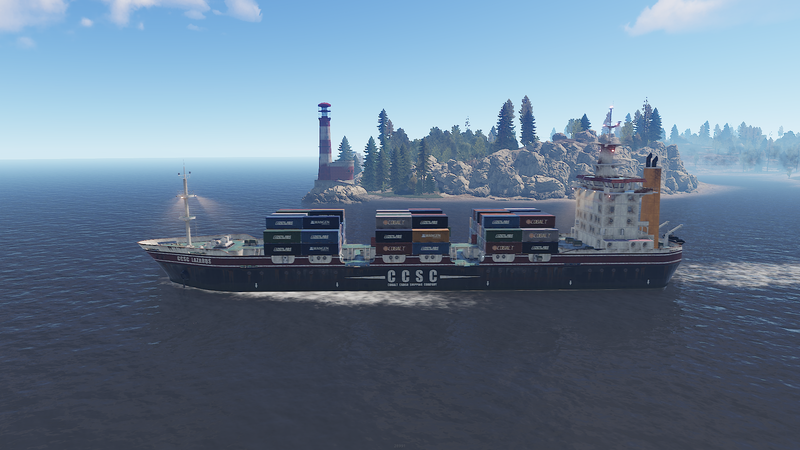 When used, the CCSC Lazarus cargo ship, part of the Cobalt Cargo Shipping Company, will appear and automatically navigate itself to the event’s determined course around the island. It is crewed by the gun-wielding scientist in blue radiation suits. 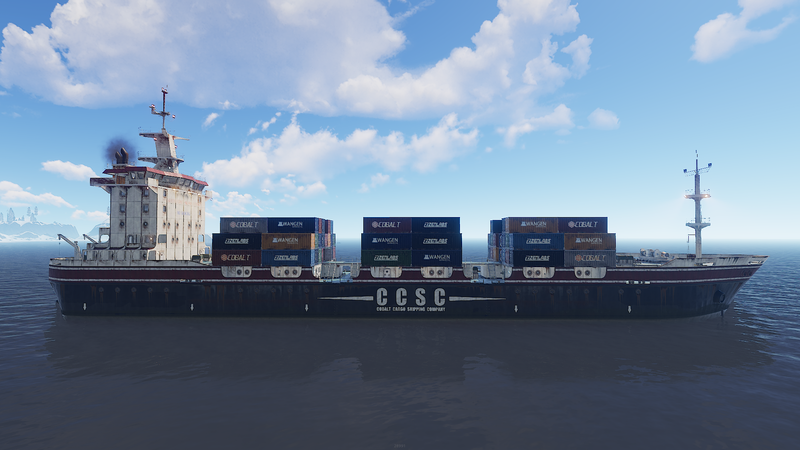 The cargo ship event will automatically spawn and is enabled by having the cargoship.event_enabled configuration set to true. 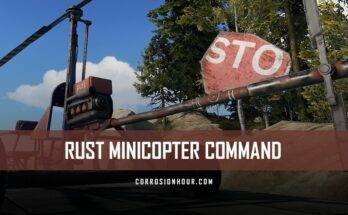 This event configuration differs from other events, such as the Patrol Helicopter and Airdrop which operate from the server.events configuration. Patrolling the decks of the CCSC Lazarus, the heavily armed scientist will kill on sight. They are protecting a payload of 2 locked loot crates, which each spawn at random locations on the ship’s deck. 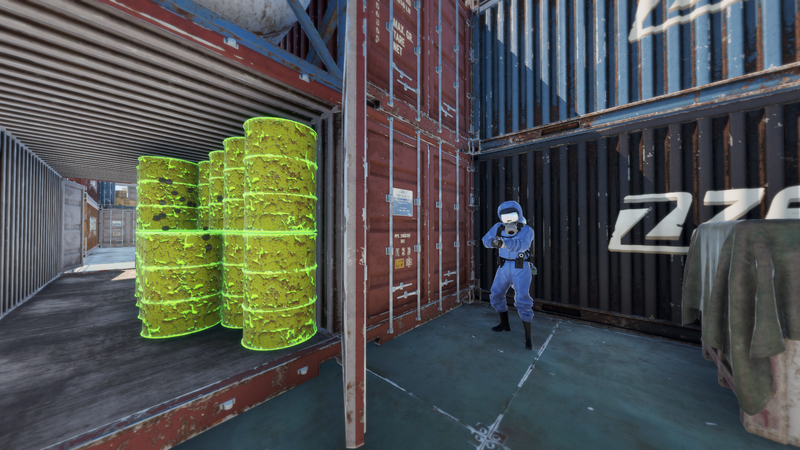 These locked crates operate in the same fashion as the Chinook 47 event and require players to “hack” them before their contents are accessible. The Lazarus will spend a full 40 minutes, by default, sailing around the island before it begins to egress completely off the map. Both the default sail time and egress duration are modifiable through configurations. Players beware of the lethal level of radiation that may trigger as it begins to egress. 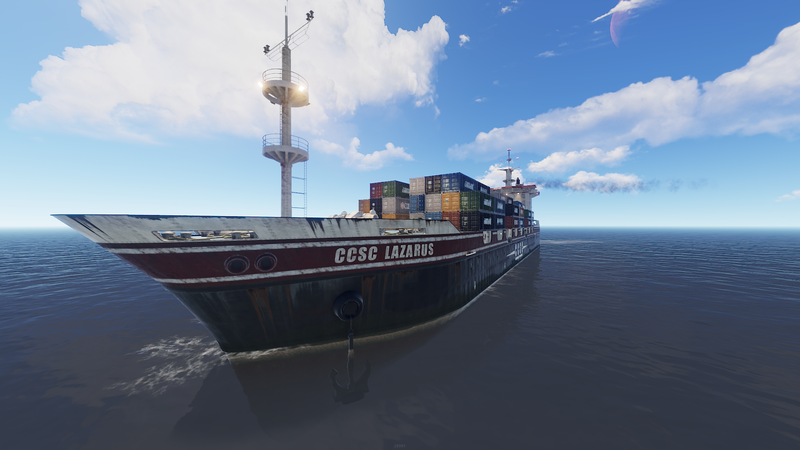 Patrolling the shores of the island of RUST, the CCSC Lazarus can be identified by a grey ship outline, moving along on the outer edges of the RUST map. 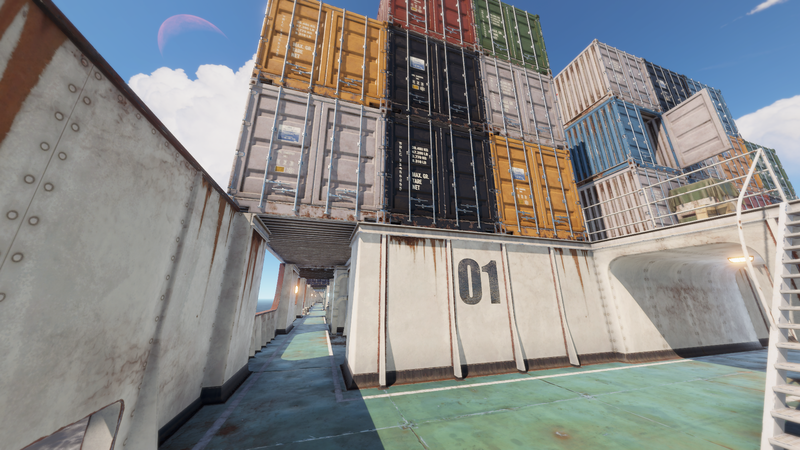 When the cargo ship spawns into the game, the grey outline on the map will also display two or more locked crate icons overlapped on it. During the day a smoke stack on the stern of the ship will leave a trail of smoke as it makes its way through the waters. 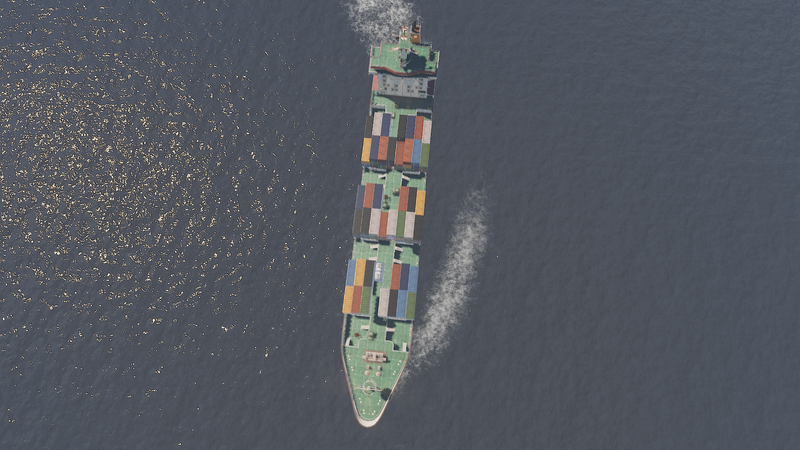 As it sails the edges of the map, the cargo ship will continue to blast its thunderous air horn, making itself well known to inhabitants. 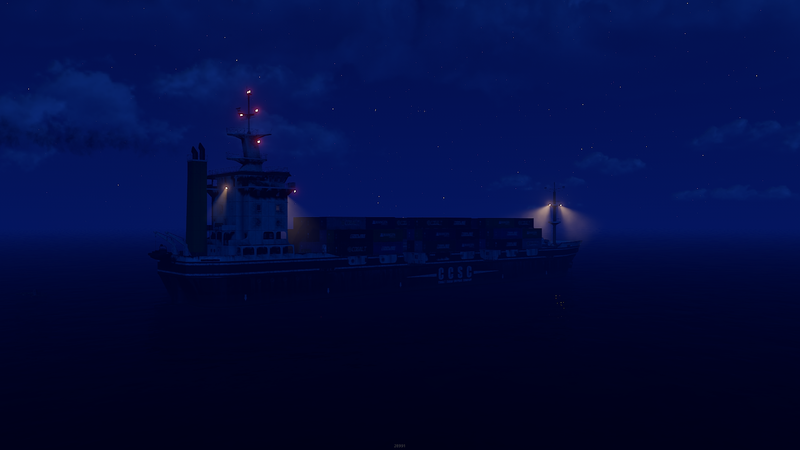 At night the Lazarus is visible with over 50 lights on or above the deck. 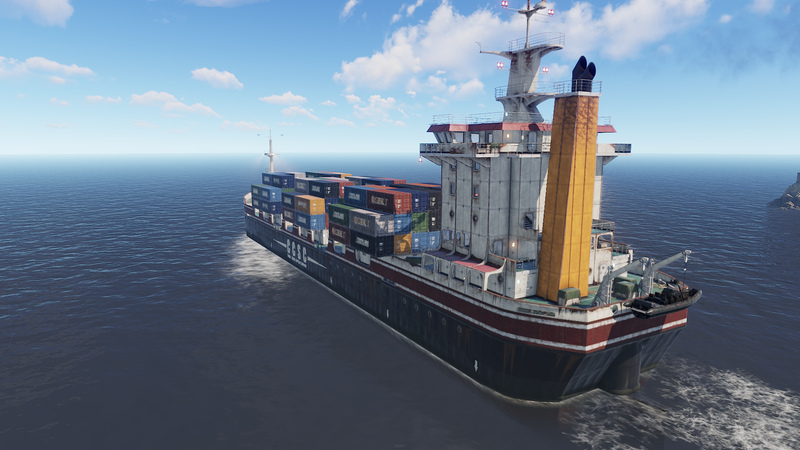 Players can locate fixed ladders along the port and starboard sides of the cargo ship. There are four ladders in total, with two on each side. The Lazarus does not anchor or make port anywhere on the island. 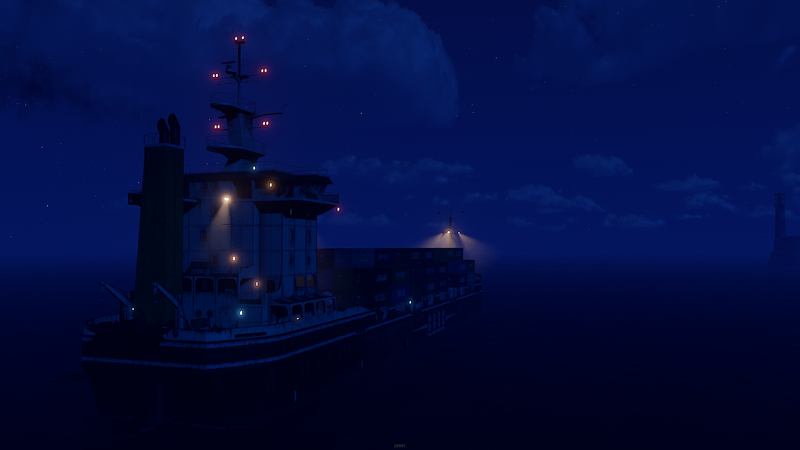 Gaining access to the ship will require players to catch a ride along on an RHIB or Rowboat. 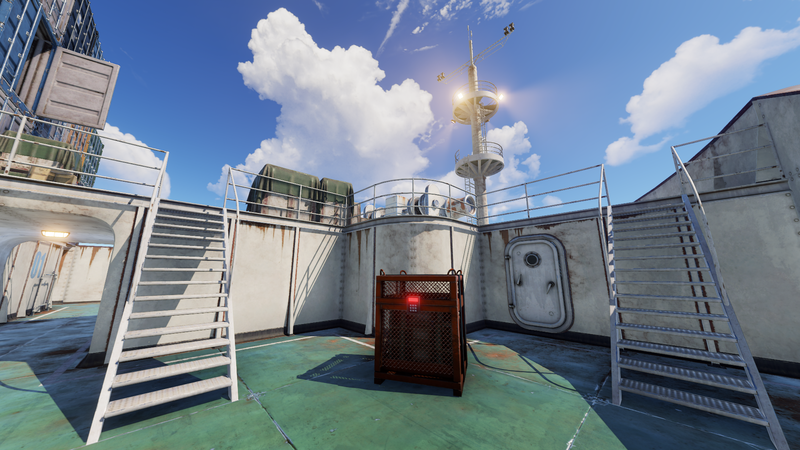 Once players are on the ladders, they will be able to climb aboard the deck and make their way to either end of the vessel. Abandon ship! Located on the stern of the CCSC Lazarus is an emergency escape raft, more specifically a hoisted RHIB. 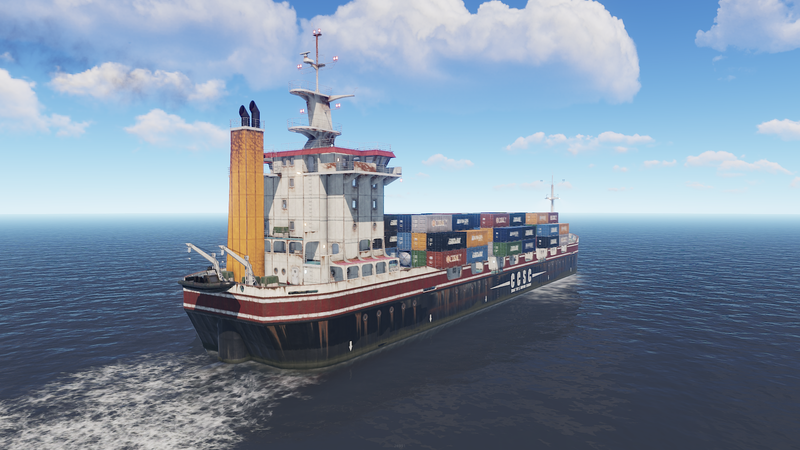 Functioning as an escape craft, operable by all players, the RHIB is pre-fueled (50 low grade) and can be mounted and lowered at the press of a button. Simply use the E button to interact with it. In addition to using the RHIB to make a great escape, players can abandon ship by simply jumping off the sides and swimming back to the island. However, beware of the rudder on the stern of the boat, as it will kill you if you come in contact with it. 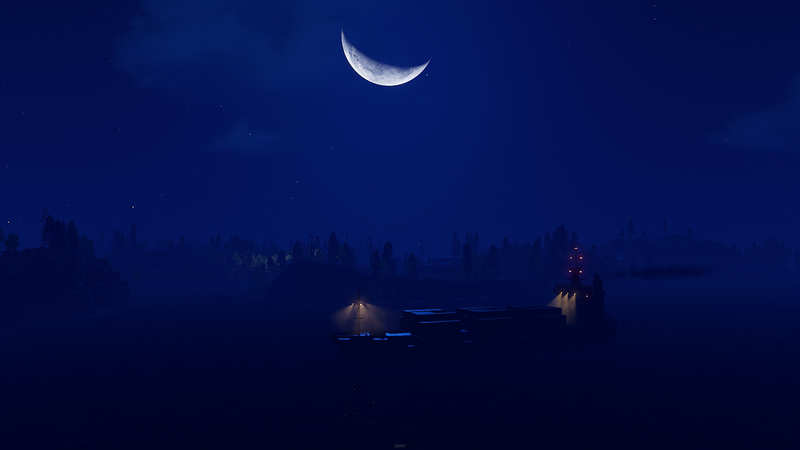 The RUST cargo ship command and variables can be issued and configured on vanilla RUST servers by RUST admins and moderators only. 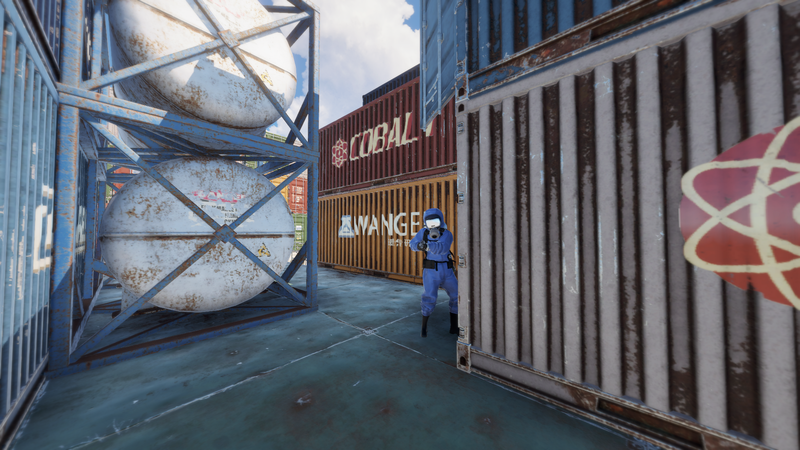 Non-admin players on vanilla RUST servers cannot use the RUST cargo ship command and variables. 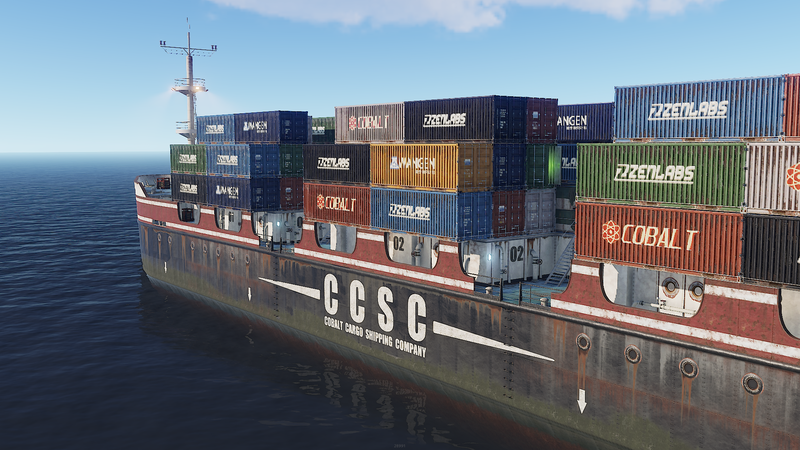 Use this command to enable the cargo ship event to spawn automatically. This setting is enabled by default and set to true on Vanilla servers. Note that this configuration will work from the in-game and RCON consoles, but must be set in the server.cfg file to be permanent. Note that this command does not work from RCON consoles. Players must use the in-game console for it to work. 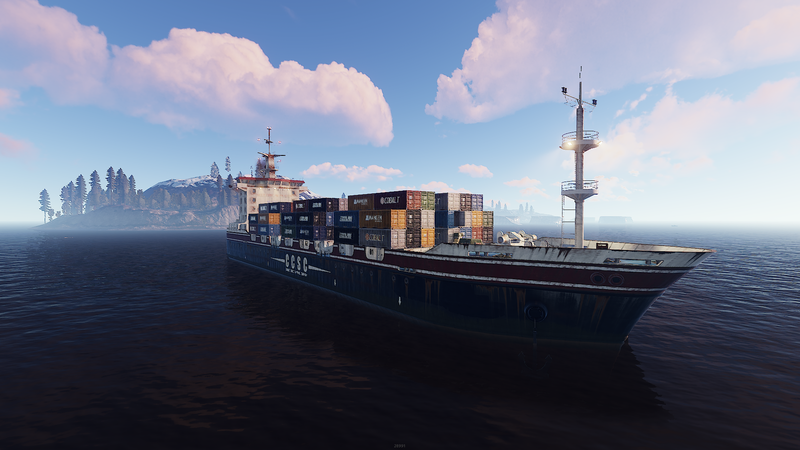 ai.npc_spawn_on_cargo_ship True Spawn NPCs on the Cargo Ship. 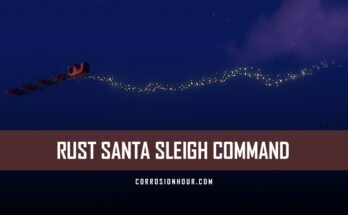 CorrosionHour.com is not affiliated with or endorsed by Facepunch Studios, LTD.
All trademarks and logos are copyright of their respective owners.